Presentation Folders help you to deliver a professional business image. 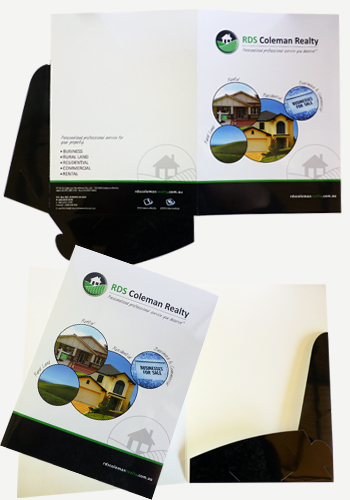 Our folders are printed in full colour both sides on high quality 300gsm board. Choice of Gloss or Matt Lamination both sides, die cut to shape and comes with a provision for a business card on the bottom flap.